It happens every year, when the weather turns warm and the boats are in the water on Long Island’s east end. James Murphy moves aboard. 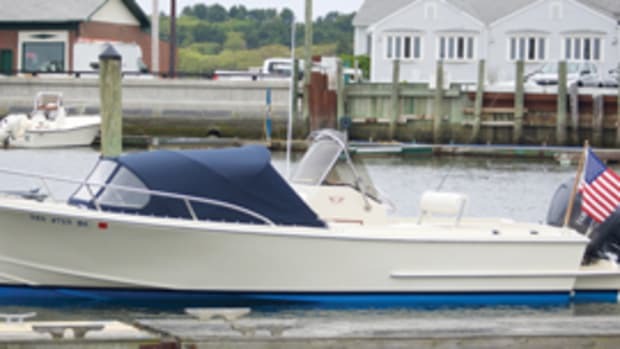 The price was $10,000, and to his astonishment, Murphy also got a slip in Sag Harbor for the season as part of the deal. 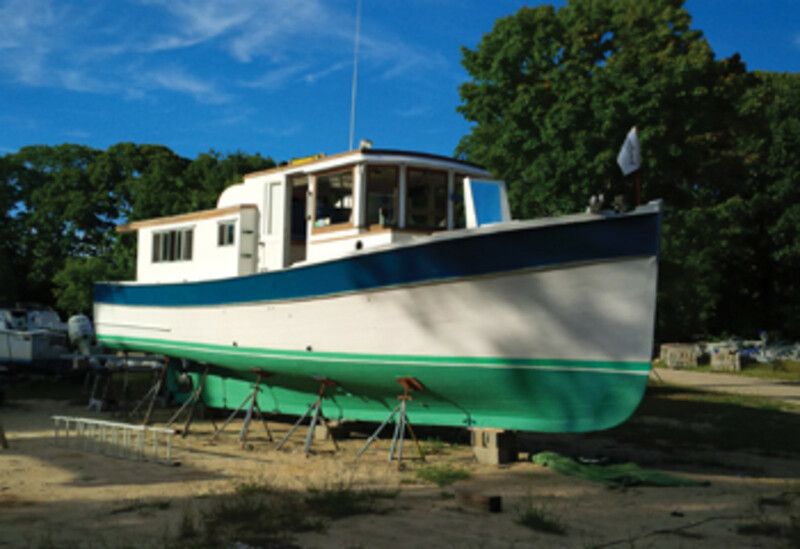 He spent the first few months bringing the woodwork back and painting the cabin and hull. 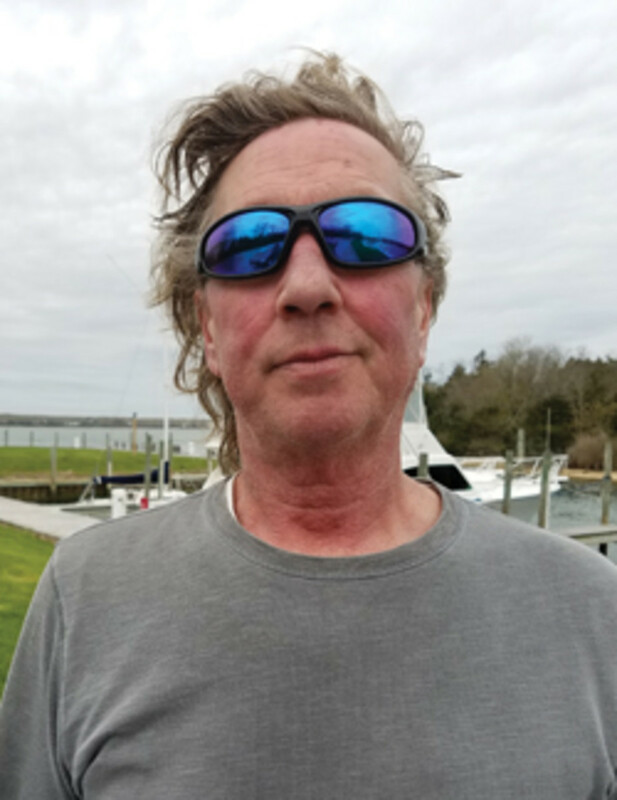 “I’m a Shelter Island kind of guy, but when you’re at a marina in Sag Harbor, you want your boat to look good,” he says. 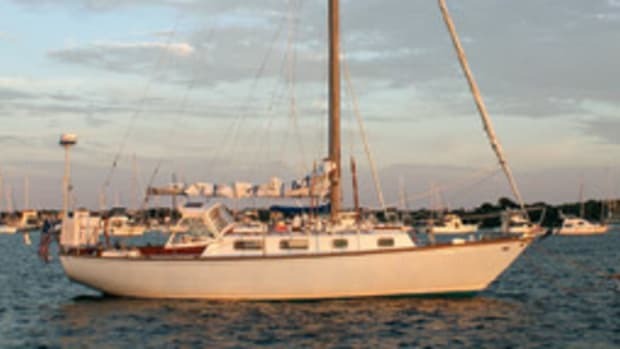 Liveaboard amenities on the 44-year-old boat include a freshwater VacuFlush head, a flat-screen TV and stereo system, hot and cold pressure water for the shower, and a wood-burning stove. Power comes from a Perkins T356 diesel, rated at 170 hp. The Penbo cruises easily at 7 to 8 knots. “Light speed to an ex-sailor,” Murphy says. “It sips fuel, maybe a gallon an hour. 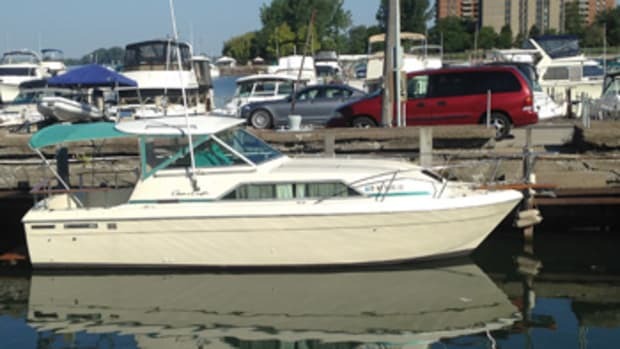 So with 100 gallons of diesel I can go a long way.” Electronics include a Raymarine plotter/depth sounder and a VHF radio. And on a summer night at the marina, when the Penbo is lit up and the doors are open, people tend to gravitate to the boat. “It’s perfect for that,” Murphy says. Compromise III has a raised pilothouse with a helm station, a nav area and a bench seat/pilot berth. The windows and side doors (port and starboard) give the helmsman visibility all around the boat. The forward section is down winding stairs. There’s a full shower compartment to port and an enclosed head to starboard with a VacuFlush head, sink and countertop with cabinetry. 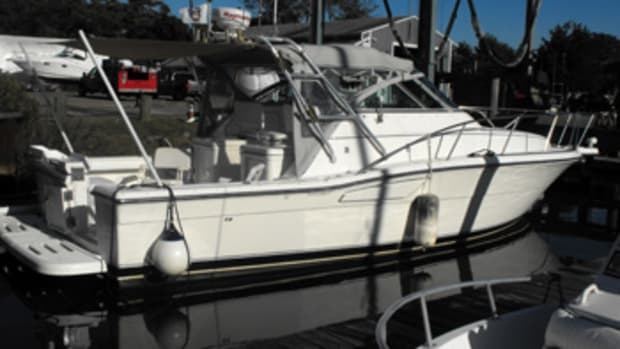 There are full-size port and starboard berths with drawer stowage in the forepeak. A forward locker with louver doors accesses the anchor line and windlass. 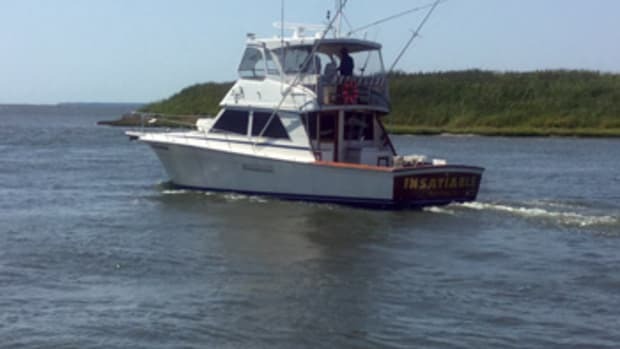 The galley is abaft the pilothouse, equipped with a sink, stove, refrigerator, microwave and counter space. The saloon has a sofa that converts to a berth, plus bookshelves, reading lamps and a wood-burning stove. Sliding screen doors open to the cockpit. The engine is below the pilothouse sole; stairs lead down to the lighted engine room, which has access on both sides of the diesel. 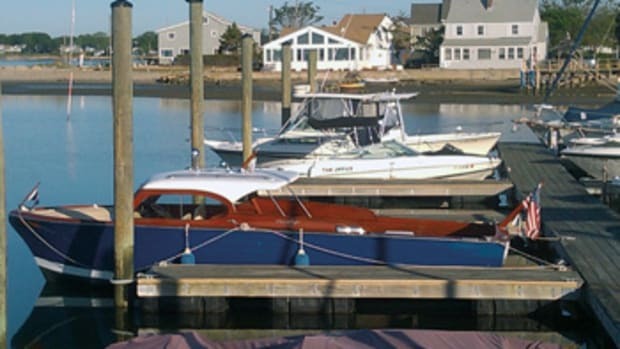 Penobscot Boat Works, founded in 1951 by Robert “Bob” Lane and his father, Carl, built Penbo powerboats in Rockport, Maine, in the 1960s and ’70s. The company built skiffs, sloops and a fleet of semicustom “cruising houseboats” that became known as Penbos. 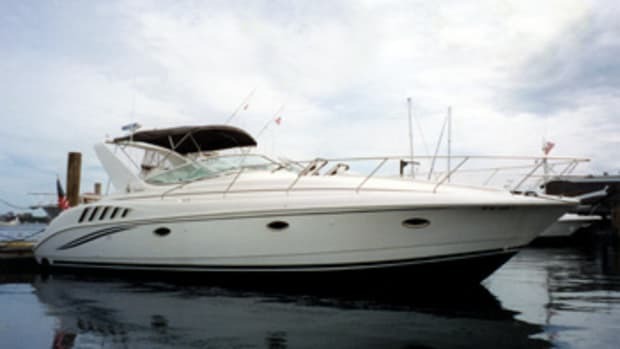 These trawler-style boats had different layouts and superstructures, including aft cabin, center cockpit and flybridge models. 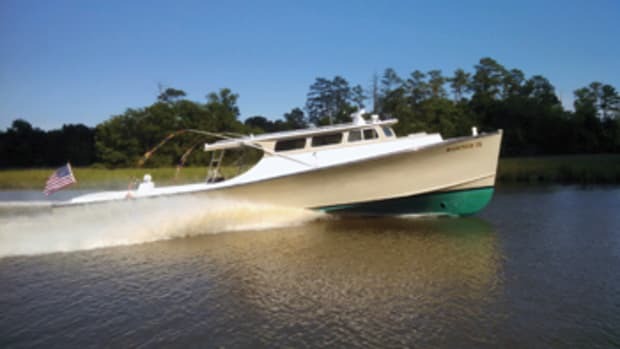 Bob Lane built his last Penbo in 1975, and he and his wife, Esther, cruised it to the Bahamas for the next 10 years.